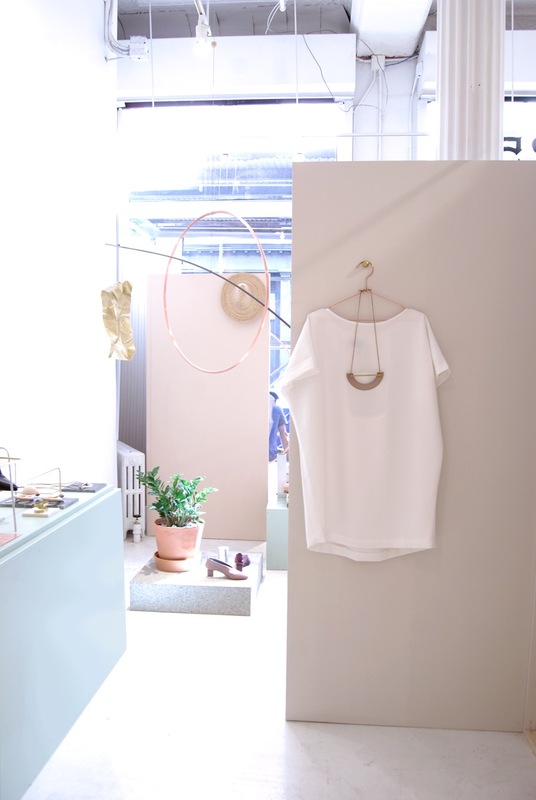 A shoppable installation during NY Design Week 2016 at womenswear shop Anthom's Soho location, designed by Ladies & Gentlemen Studio, featuring clothing by Kaarem and shoes by Gray Matters. Expanding upon our fascination with material composition, the "ALIGNMENTS" our everyday discoveries into a spatial installation celebrating unexpected intersections of color, texture, surfaces and motion. Utilizing colored & textured planes to create layers, the installation guides viewers to weave through the space to evoke a sense of discovering in a retail context. Additionally, we employed a series of kinetic sculptures and framework to display a curated selection of wearables. The result was an immersive environment that synthesized the character of each brand in a single cohesive space.